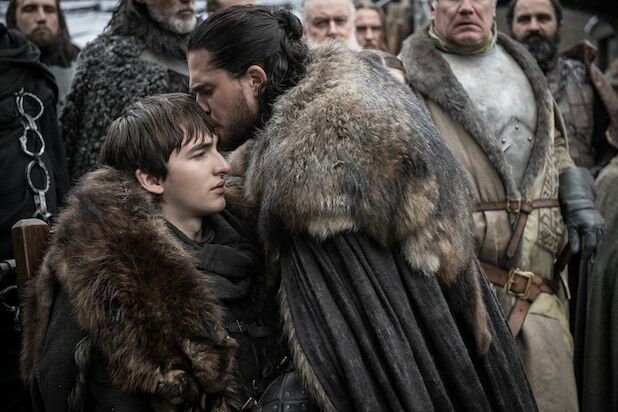 Yeah, Bran’s long, awkward, stationary position freaked out not just fans watching at home, but the on-screen residents and visitors at Winterfell. And also John Bradley, the “GoT” star who plays Sam Tarly and acts opposite Isaac Hempstead Wright’s Bran regularly. And we get that he’s the all-knowing Three-Eyed Raven now, sure. But he just sat there in the cold. Why? For real, it was very weird. If you don’t believe us, see the Bran memes for yourself here. And see more from our interview with Bradley here.